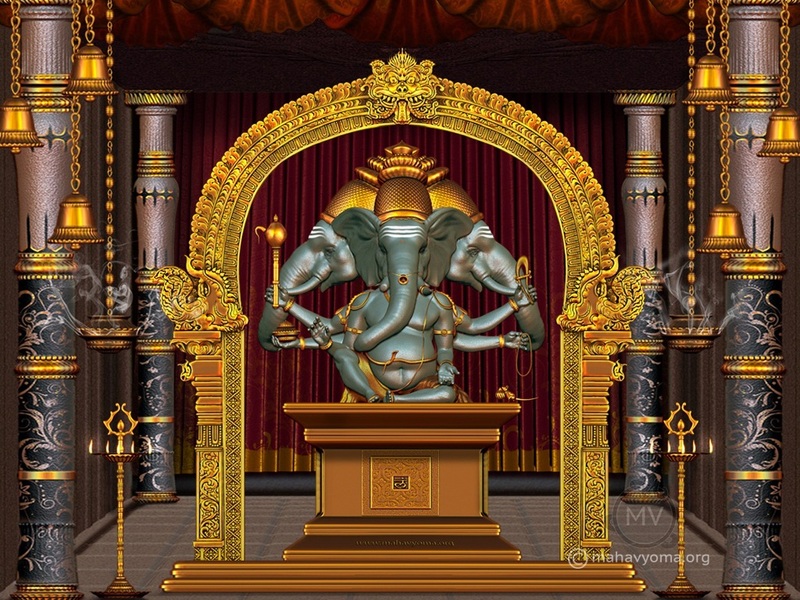 Trimukha Ganapati is red-complexioned like a flower of Moduga, a holy tree. He sits gracefully on a golden lotus, telling His beads, holding a noose, goad and vessel of nectar. He gestures protection with a right hand and blessings with a left.